The Stargate SG-1 Season Two Minicaps once body swapped with the Stargate Infinity animated series. It rather not talk about it. The team is surprised to be retrieving, of all people, Apophis, who is being hunted by other System Lords. They bring him back to their base and discover he’s dying, but he gives them an interesting offer: he will give them all of what he knows in exchange for a new host body. As the team and the Tok’ra debate this offer, they have another ticking clock, in the Stargate under attack by those pursuing System Lords. I would like to tell you this is a surprisingly emotional end for Apophis, but I would be lying about the “end for Apophis” part. –So yeah, Apophis and his host die in this episode, but there’s that pesky sarcophagus loophole that will probably bring him back, if only to be tortured by the System Lords. –Apophis’ host is conscious thanks to the symbiote dying, and surprise, he really didn’t want to be the host for this thing. At least he gets to pass on to a better place by the end of this. –While Carter’s dad doesn’t return, Martouf does from “The Tok’ra” two-parter, and will be popping up occasionally through the early run of the show. 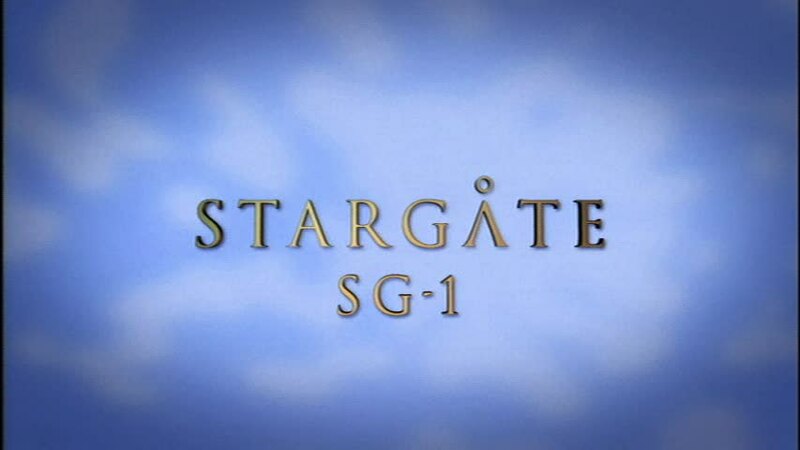 –Weird bit of trivia: the GDO that O’Neill gives Martouf to avoid a future accident getting splattered by the Stargate iris has the abbreviation of Garage Door Opener. Upon meeting a dying enemy of the Goa’uld, Ma’chello, things get messy when Ma’chello switches minds with Daniel. While Daniel is left in Ma’chello’s body to die, the original owner of that body is trying to adjust to life in Earth in a younger body. Add to that O’Neill and Teal’c switching bodies by accident, and the team needs to find this genius to fix these problems. Like many body-swapping episodes, this one offers some fun moments for the actors, as well as an interesting story to boot. –So Michael Shanks pulls double duty pretty well in this episode as both Daniel and way aged Ma’chello. –The really fun body swapping of this episode comes from the O’Neill/Teal’c swap. There’s clearly some fun in seeing Chris Judge playing O’Neill and Richard Dean Anderson playing Teal’c. –Speaking of the O’Neill/Teal’c switch, this also suggests Jaffa prefer shaved heads, which O’Neill would rather Teal’c wait on shaving O’Neill’s head to satisfy that need. 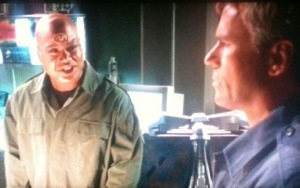 Although, Teal’c won’t stay clean shaven for the entire run of the show. –Ma’chello accepts his fate after being talked about the wrongness of stealing other people’s bodies to extend their own. I literally watched the same solution by accident a few days earlier when watching the Star Trek: TNG episode, “The Schizoid Man”. 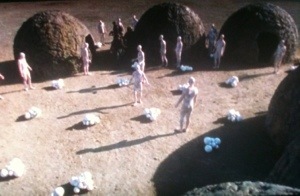 SG-1 heads to a planet with an extremely primitive culture, and things get dramatic real quick once those people start getting sick. At first, it’s the theory that the team brought a disease with them that is responsible for this possibly fatal outbreak. But, when team members start getting ill themselves, the question is: what’s causing this illness? The answer: alien plants. Well, there’s a longer answer, but more on that below. –The culprit of all of this were plants that are sensitive and emit sound, plants that were injured by the arrival of the UAV drone. –It’s an interesting idea thrown out there that its more a miracle that SG-1 and other teams haven’t caused the same kind of problem before now. –Teal’c’s humorous toss over of the binoculars to O’Neill. Our Jaffa has some hope for him yet. A young boy comes through the gate with some troubling news: a rebel group from a race of invisible creatures is about to attack Earth. Of course, the boy knows this because he’s a clone and his creator/”mother” has accompanied him through the gate. Jacob and the Tok’ra stop by to help, only to find they all have to stop a group of these bad aliens from escaping Stargate Command. Also, O’Neill becomes a surrogate dad to clone kid. Awwwwww. 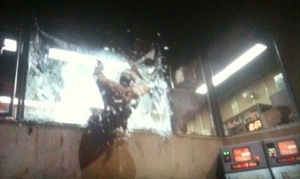 Did he not forget he could leave the control room through the stairwell? –Charlie gets to go off to get a Tok’ra symbiote put in him to keep him from dying, and last time I checked, never comes back to the show either. Maybe that symbiote didn’t work out. Oh well. –Despite the drama and action this episode, we do get some nice comedy like O’Neill and Daniel’s silent word signal talk. –So being around these Reetou causes Goa’uld a lot of pain. Also, this invasion of the SGC causes handprint activators for the Gate to be installed. Wait, they didn’t have those put in already? You think they would have by now with all the improper openings of the gate since the show started. NEXT TIME: The Stargate SG-1 Season 2 Minicaps comes to an end with some highlights and a overview of the season, but first, the team gets trapped in the past in “1969”, and O’Neill awakens in the future to discover a darker design for him in the season cliffhanger “Out of Mind”.